Made with stranded conductors, premium grade PVC insulation, and duplexed, flat construction for easy tear-down during installation. The maximum allowable conductor temperature is 105ºC. Minimum recommended installation temperature is minus 20ºC (with suitable handling procedures). Southwire's 14/2 SJOOW cord is used for applications such as wiring for portable tools, portable appliances, equipment, small motors and associated machinery. 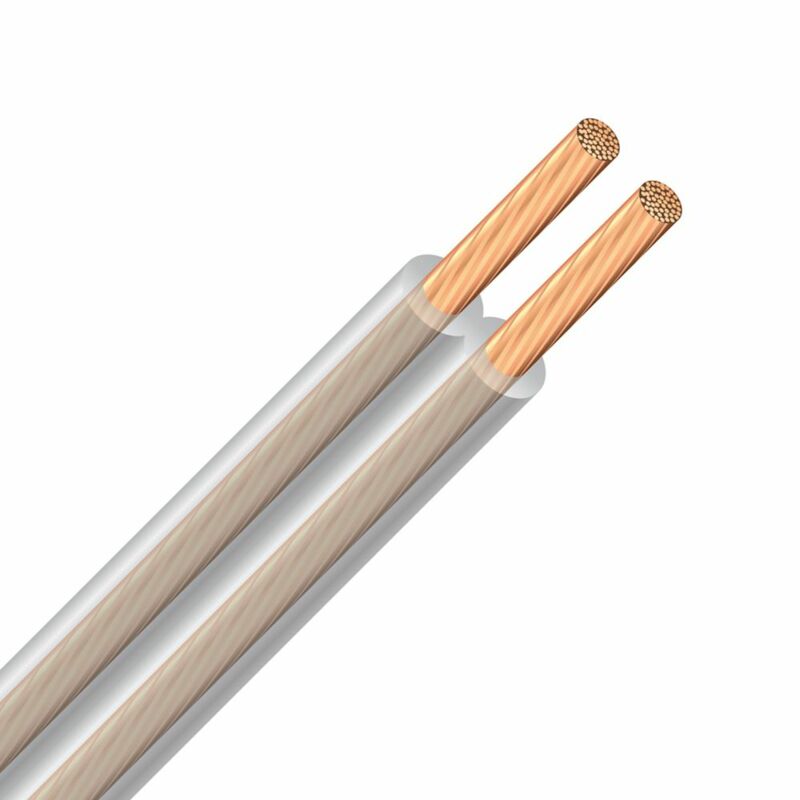 SPT Copper Electrical Lamp Cord - 18/2 Clear 7.5m Southwire's 18/2 SPT lamp wire is designed for use in lamps, clocks, household fans and small appliances where not subjected to hard usage.